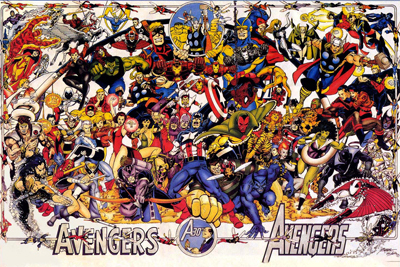 For this episode, Eric Anthony wax’s rhapsodic about the classic Avengers vol 3 collection written and drawn by Kurt Busiek and George Perez from 1998. Post chapter 11 bankruptcy, Marvel Comics was in disarray and Earth’s Mightiest Heroes felt the effects. After the failed experiment that was Heroes Reborn, The Heroes Returned in 1998 in grand super heroic fashion.